Love an effortlessly chic sense of style? It’s as easy as gracing your space with this lumbar pillow. Erased motif exudes a perfectly imperfect sensibility. 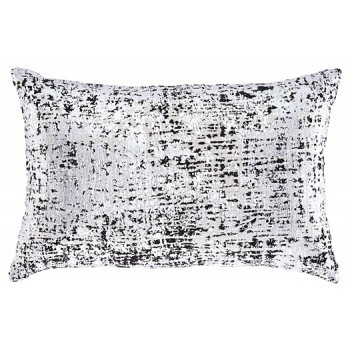 Abstract foil print on textured jacquard gives this toss pillow’s cream, silver and black palette a hint of sheen.